Medical Voices Vaccine Information Center has a website designed to bring awareness of vaccine issues to the forefront via medical doctors. medicalvoices.org The Site, started in July 2009, has a massive library of articles, videos and presentations by doctors speaking out on the dangers of vaccines. The aim is to be an educational site for doctors who are beginning to question and become aware of the problems caused by vaccines and, additionally, a go-to resource for the public at large. The website links to many articles and is full of information given by medical professionals, this is not the mainstream belief, it is the truth! I firmly recommend you take some time to see for yourself how many people working in the field of medicine are strongly speaking out about the dangers of vaccination. In this section I will quote from just a few of these professionals. "There are some fundamental questions that should be asked of any proposed treatment including vaccines. Does it do what it claims it will do? What are the benefits? What are the risks? What are the alternatives? How has the proposed treatment been promoted to physicians and the public? Yet, as I have demonstrated in my last article entitled “Stop the Swine Whine,” these questions have been largely ignored by H1N1 flu commentators, who have substituted propaganda, hysteria, and fear-mongering for legitimate information." "The Advisory Committee on Immunization Practices (ACIP), a group of individuals hand-picked by members of the Centers for Disease Control and Prevention (CDC), recommends which vaccines are administered to American children. Working mainly in secret, ACIP members frequently have financial links to vaccine manufacturers. Dependent on federal CDC funding, administrators of state vaccination programs follow CDC directives by influencing state legislators to mandate new vaccines. Federal vaccine funds can be denied to states that do not "vigorously enforce" mandatory vaccination laws." Of course the result of denying states vaccine funds creates the situation we looked at earlier which has the media scaring us to believe "there's not enough vaccine", so the public respond, as desired with the "something must be done" cry! "Here in the midst of a governmental and media-declared "emergency," availability of the swine flu vaccine apparently is on the minds of many. The many apparently don’t realize how mild an influenza this epidemic is, nor how the numbers of persons ill or dying from it have been inflated and are not based on laboratory confirmation, nor how toxic the other ingredients of the vaccine can be. ...It’s not that vaccines prevent the illness they were designed to prevent—many do, some do not. It’s all the other ingredients in all vaccines that are so toxic and temporally are related to huge increases in learning disorders, autism, neurodegenerative diseases like Alzheimer’s, allergies, vascular inflammation and autoimmune diseases. Besides the germ the vaccine is supposed to prevent, other ingredients include multiple animal proteins, animal carcinogenic viruses, mercury (still), aluminum (huge amounts), formaldehyde and glutaraldehyde (embalming fluids), calf serum, etc. ...The brain suffers acute and sometimes chronic inflammation, or encephalitis, so why are we surprised at the brain-related problems in children? To make matters worse, most kids eat commercially prepared food and drink, loaded with glutamate, cysteine, aspartate and other poisons (cleverly disguised as "beef products," or "flavoring"), which have been incriminated in neurodegenerative diseases of adults—Alzheimer’s, multiple sclerosis, Parkinson’s, etc. Not to mention high-fructose corn syrup, sometimes called "corn products," which is in virtually every drink and most food in a conventional grocery store and largely to blame for the huge increase in insulin-resistant diabetes. 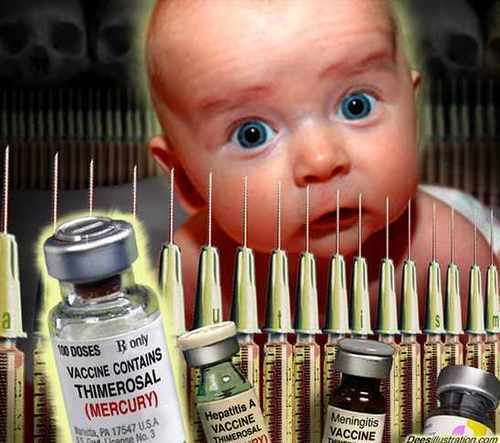 ...Even more bizarre are the behavior of the World Health Organization and Academies of Pediatrics, Internal Medicine and Family Medicine, which persist in recommending more and more toxic vaccines and belittling arguments against vaccination. 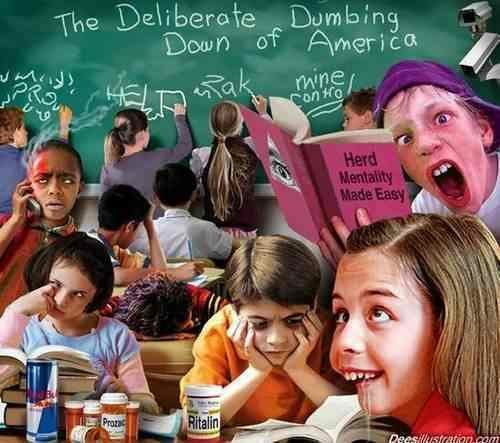 Such behavior can only occur when profit, creation of illness rather than health, and population control are priorities." The website has a link to an in depth interview with Dr Andrew Moulden who has spent his entire adult life in academia, university, and clinical health science studies, practice, and research. He states his area of expertise is in neurobehavioral assessment of brain and behavioral disorder. I recommend you read up on Dr Moulden, what he has to say is backed up with evidence which is devastating to the idea that vaccinations protect. "Through my extensive research and my work throughout the years, I have discovered that vaccinations are causing impaired blood flow (ischemia) to brain and body from clinically silent to death. These are strokes – across the board for all of us. I have reason to believe that all are being affected and all vaccinations ARE causing the overwhelming rise in autism, specific learning disabilities, attention deficit disorders, sudden infant death, gulf war syndrome, dementia, seizure disorders, some cancers it would appear, and much much more. Germs simply are not the only root cause of death, disease, and disorder. I have now conclusively shown that ALL vaccines, from infancy to geriatric, are causing the exact same brain damages irrespective of what disease or disorder comes out." 1 in 87 with autism spectrum – a 1700% increase over ten years. Gulf war syndrome affecting and disabling 250,000 troops and 42,000 deaths. These vaccinated soldiers show the exact same neurological damages after vaccination as the infants and children are exhibiting after each childhood vaccination. These are strokes (oxygen demand exceeding oxygen supply) conclusively! These microscopic strokes are happening to the brain and body in immediate and delayed, waxing and waning, acute and chronic ways. This is receiving a plethora of clinical labels. In basic physiology, the base cause is common across the board. There is no such thing as an acquired genetic epidemic. The epidemic is an acquired phenomenon, from environmental factors, for which I can now conclusively show, vaccinations are the mass culprit for most of this." "All of them, once they take the time to learn. It is 100% undeniable. There is NO way to refute what we can all see now." I have simply put the conceptual framework science, measurement system, and explanations to “why are we getting sick”� and “LOOK”� all vaccines are causing the exact same neurological damages irrespective of what disease comes out, across the lifespan, This means that it is something the body does in response to immune stimulation that is causing disease and disorders, I now believe I know what this “something”� is. ...It is in my opinion, backed up with conclusive evidence that all vaccines have to be banned. They are all causing ischemic brain and body damages and chronic illness and disease. ...Aluminum, mercury, squalene and other contaminants that are added to the vaccines, are equivalent to viruses and bacteria relative to causing damages to human tissue. They are foreign substances in human physiology that induce electrostatic and immunological responses, both of which derails blood flow as well as can lead to direct tissue damages in their own right. 1.) Thalidomide caused babies to be born with no arms and legs. 2.) Vioxx caused heart attack and stroke. 3.) Cholesterol lowering drugs are causing myalgia and mysositis. 4.) Spanish Flu killed 20 million in 1918. 6.) Hep A/ Hep B vaccines are causing multiple sclerosis. 7.) A series of anthrax vaccines causes female vets to give birth to infants with no arms or legs 18 months after vaccination. 8.) All vaccines are causing autism spectrum and learning disabilities SIDS and ADHD. 9.) Repeat flu vaccines are causing dementia. 10.) Tetanus causes lockjaw, this is ischemic stroke to the brain from blocked blood flow. 11.) Vaccination induces Guillian Barre Syndrome (these are end vascular strokes, to descending motor tracts in the brain, brain damage! 12.) Smallpox killed and caused skin lesions, this was dermal ischemia, impaired capillary blood flow. 13.) Congenital rubella, in the pre-vaccine era, caused ischemic damages to brain body and lung." "The medical, socio political, and world banking system is controlled by the very groups that are making us all sick. Medical knowledge and scientific truth will not help humanity. The only way out of the messes we have created is an informed, educated, participatory, democracy, for, by, and of the people. I hope to inspire citizens to re-claim what rightfully belongs to the people, their Nationhood, inalienable rights, Sovereignty, and control of the issuance and control of the credit and currency of the nation. If the people do not control these critical nodes, then usury, once in control will wreck havoc on every nation, in health, wealth, fundamental rights and freedoms."